Kid’s school lunch ideas. Healthy and nutritious lunch ideas your kids will love. 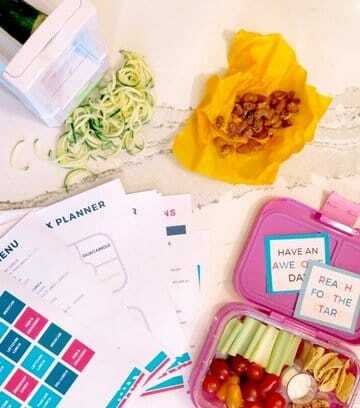 Take the guess work out of planning, shopping and packing school lunches with the School Lunch Planner! At the start of each school year, I do a decent job packing healthy and nutrient dense school lunches for my children. 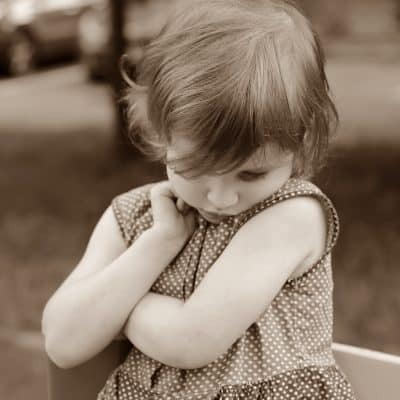 However, by week three or four, the momentum has slowed and I begin to run out of ideas of what to pack, let alone, keep stocked in the house. 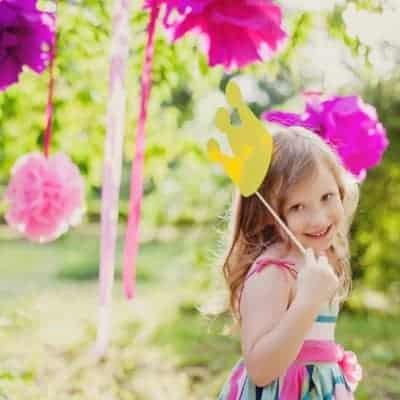 At this point, often it becomes easier to hand the kids lunch money in the morning, which means usually they aren’t making the wisest, or healthiest of lunch choices. If the sounds familiar, I have something to help with planning easy & healthy lunches for your kids. This year, I’ve partnered with my friend Audra from Tox Free Me (she’s all about living naturally and without toxins) to create the School Lunch Planner. This is going to be your best friend when school begins. 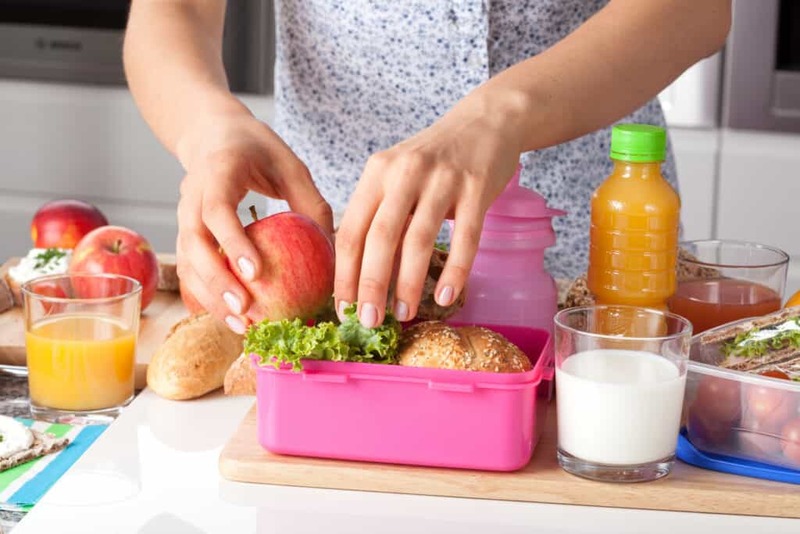 The school lunch planner takes the guess work out of what to pack for lunch and actually, it does all the hard for you. 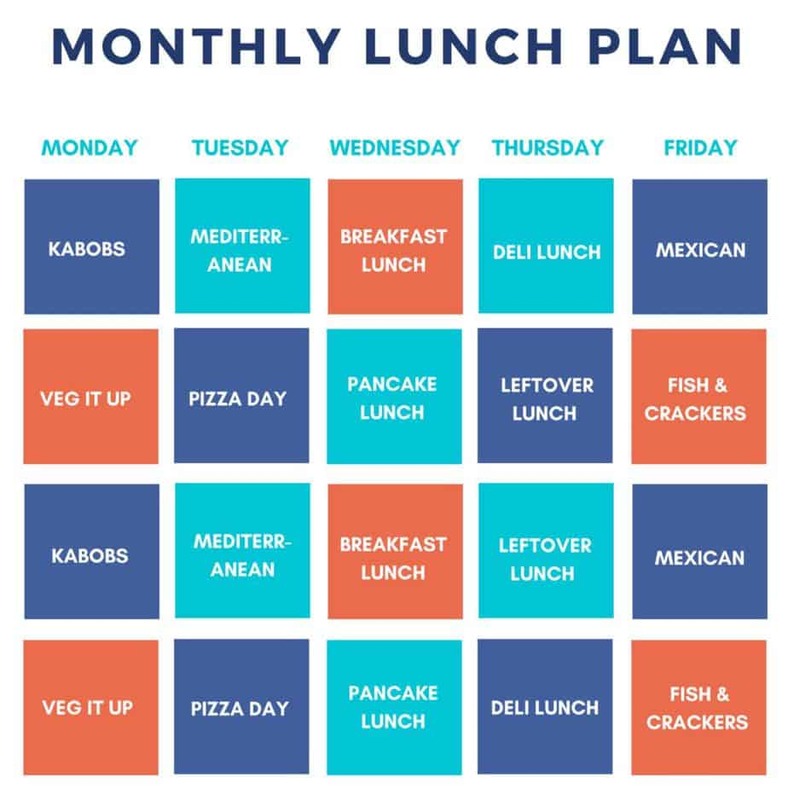 All you have to do is use the weekly shopping list to buy the groceries you need for the week, pull out the visual lunch box planner diagram each morning and pack your lunch boxes according to the set menu. In less than five minutes, you have a healthy and yummy lunch for your kids. There are a few items you need to meal prep, such as pizza pinwheels or chicken strips, but they require minimal time on the weekend to prepare for the week. How does the School Lunch Planner work and what’s inside it? The school lunch planner gives you one month of healthy lunches with plenty of variety! All meals are balanced with vegetables, fruit, grains and protein to help your kids stay focused and alert at school. The School Lunch Planner includes a weekly shopping list for each week. In the morning, or the night before, all you have to do is pull out your visual lunch box planner sheets to prepare you child’s school lunch according to the diagram. Recipes are included for main food items and when you purchase the planner and take less than one hour on the weekend to prep. And don’t forget to clip the 10 Lunch Box Notes and slide them into your child’s lunch box for a little extra something special when they sit down to eat. 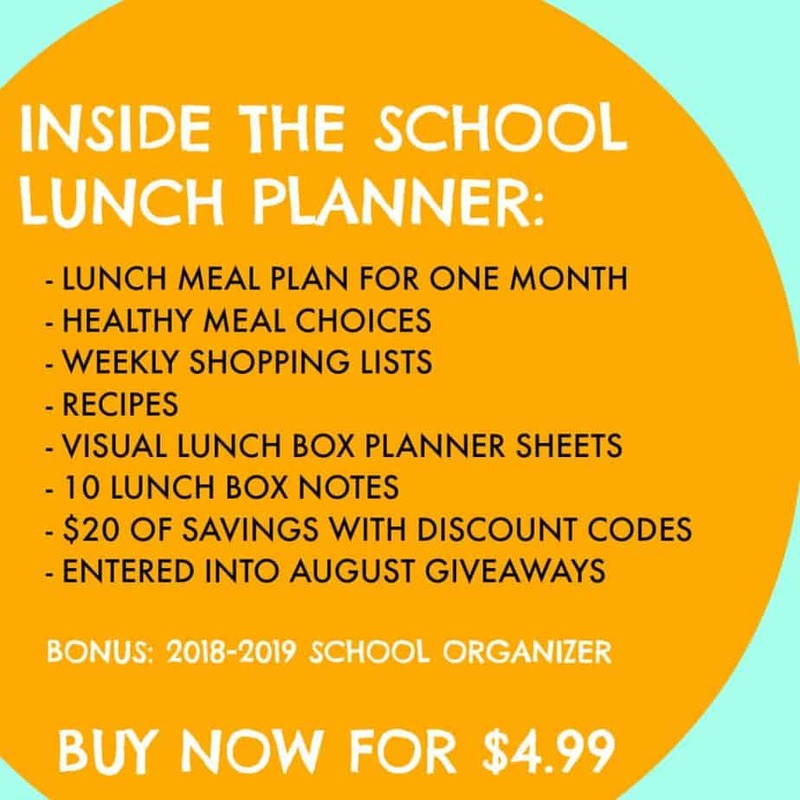 You’ll also receive $20 worth of discount codes available towards non-toxic, BPA and phylate free lunch materials and are also automatically entered into weekly giveaways during the month of August (include a vegetable spiralizer, water bottle, thermos, water cleaning pods and more) when you buy the School Lunch Planner. Does the Lunch Menu Change Every Month? Each month during the school year, we’ll launch a new School Lunch Planner with fresh ideas, new shopping lists, diagrams and lunch notes if you want to mix things up! Seasonal events and holidays will be included in meal plans and themed lunch notes, too!